Early last year I photographed a beautiful kitchen remodel with one of my favourite clients, whom produce luxury handcrafted, bespoke kitchens. 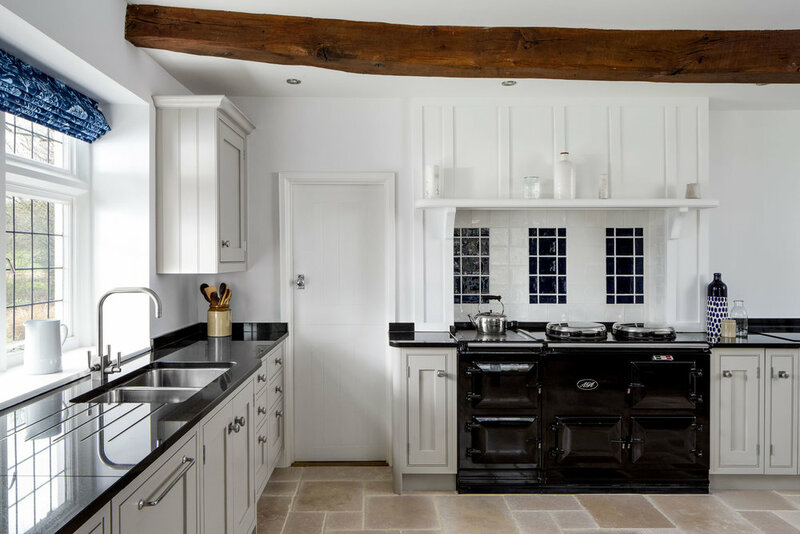 The kitchen kept some of its original features such as the timber beams across the roof, an Aga cooker, along with some shelving that surrounded it. Below are the resulting images from that session. This image shows the new cabinetry, worktops and sink. These surround the Aga stove along with the original shelving and wall panelling. One of the original beams is also visible here. Here we are focussing more on the new cabinetry and worktops. The large cabinet to the left houses the fridge. The final image shows corner detail on the worktops and cabinets whilst giving a glimpse inside a cupboard with racking inside the door. I personally love this kitchen. It's simplicity in palette is something that I am a big fan of and the rustic, original touches really give it some character. What are your thoughts? Let me know in the comments down below!